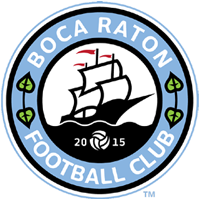 Boca Raton Football Club is excited to announce that Dr. Bruno Da Rocha has joined the team as the team’s Sports Chiropractor. Dr. Da Rocha completed his undergraduate education at Florida State University and earned his Doctor of Chiropractic degree at Life University’s College of Chiropractic in Marietta, Georgia. Dr. Da Rocha recently finished his Master’s Degree in Human and Clinical Nutrition from the University of Bridgeport. Dr. Da Rocha has obtained the postgraduate designation of Certified Chiropractic Sports Physician ® (CCSP ® ) by the American Chiropractic Board of Sports Physicians™ (ACBSP™). The CCSP ® certification requires the doctor to attend a minimum of 100 hours of a 120-hour postgraduate program. This instruction is specific to physical fitness and the evaluation and treatment of injuries encountered in sports. Following the completion of these hours, the doctor must then take and successfully pass a comprehensive written examination. This training will aid the doctor in the prevention and treatment of athletic injuries by enhancing diagnostic skills and patient care. Dr. Da Rocha has helped thousands of patients recover from back pain, neck pain, rotator cuff shoulder tendinitis, sports injuries, headaches, tennis elbow, hip & knee strain, plantar fasciitis, TMJ, & other musculoskeletal injuries. He utilizes specialized myofascial release techniques along with gentle manipulation, & other therapies, including ultrasound, ems, laser, shockwave therapy, and, therapeutic exercises to treat joint and muscle pain.